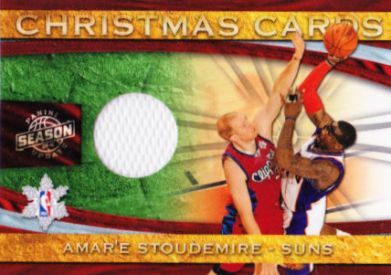 Christmas might not have a huge foothold on sports cards, but that hasn't stopped the manufacturers from playing around with the holiday. 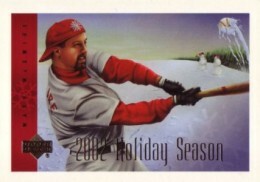 Over the years, several Christmas-themed sports cards have been produced. Although few of them have reached iconic status, they're still a fun reminder of the holiday. 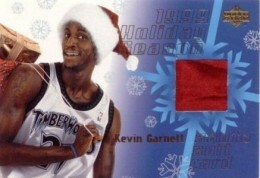 We've compiled a list of Christmas-themed sports cards below, offering card details, checklists and images. These cards all feature athletes. It is worth noting that other cards and promos have been made highlighting Santa Claus, such as the classic Pro Set inserts. Pro Line autographs and a factory set made by Topps in 2007 that had both an autograph and a relic. We'll visit St. Nick another time. 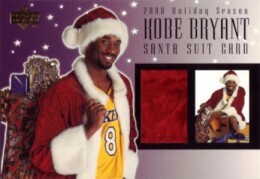 For now, here's a guide to several Christmas-themed sports cards. As a part of a Steve Largent-themed set, Pacific included a card of the future Hall of Famer and politician as a boy hanging out with Santa Claus. 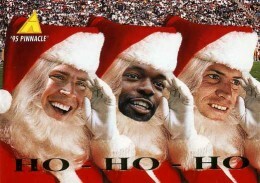 The second card in the set, it carries the caption, "Santa, can you please bring me a football?" Although tracking down singles today may be tough, complete sets can be found for under $10. Numbered to 1499, the five-card set mixes the holidays with NASCAR's top racers. A green retail parallel also exists. Collectors could always count on Pacific for strange designs. Some worked, some were horrendous, but nobody could say they weren't unique. 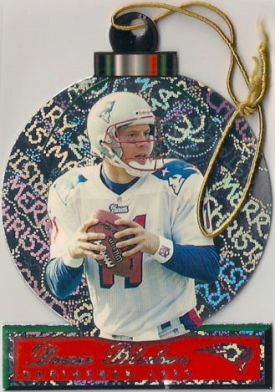 The 1999 Pacific Prism Football Ornaments kicked off one of the company's more memorable concepts. The cards, which really could be hung from a tree, have a holofoil design. 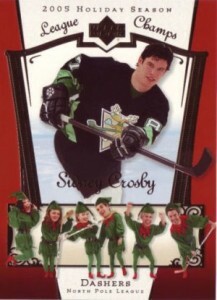 Players are printed on one of several festive die-cut shapes, such as trees, wreaths and stockings. 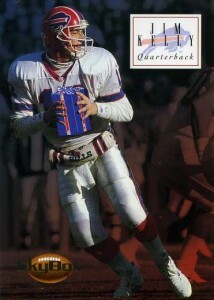 1999 Pacific Prism Football Ornaments are inserted 1:25 packs. Twenty cards make up the set. 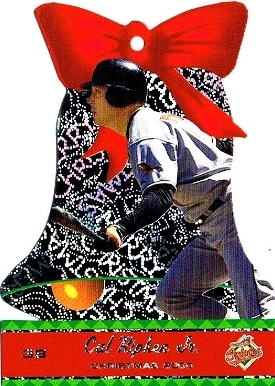 Similar to the football set, 2000 Pacific Baseball Ornaments once again have die-cut designs printed on holographic card stock. Inserted 2:25 packs, the cards come ready to hang, complete with string. 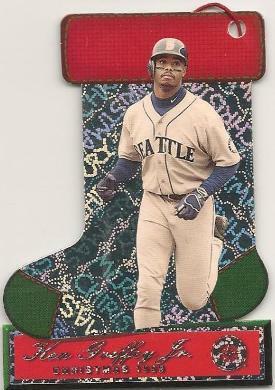 Other than the slightly larger checklist and tougher odds, the 2001 Pacific Baseball Ornaments are largely indistinguishable from the previous year's set. 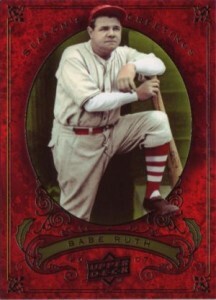 Limited to 949 serial-numbered copies, the card celebrates the softer side of the legendary slugger. Ruth is pictured on the front wearing a silly but heart-warming Santa suit. 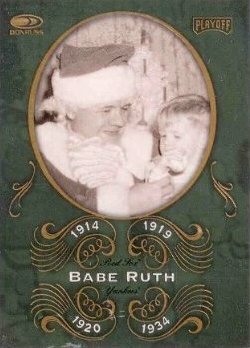 The back of the card tells of how Ruth dedicated himself to making others happy, including a short anecdote about how he went to hang out with sick kids in 1947 while he was very ill.
Variations on the regular rookie cards from 2007-08 Upper Deck Basketball, the 30 Santa Hat Rookies offer quirky studio shots of the season's rookie class wearing a red holiday hat. 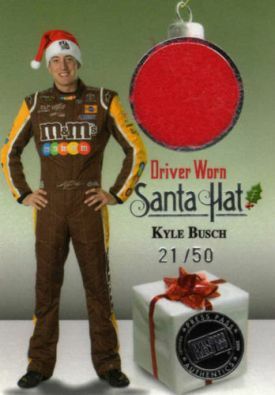 Numbered to 50, these 18 cards see jovial racers posing wearing a Santa hat. Swatches on the cards can often be found in both red and white. 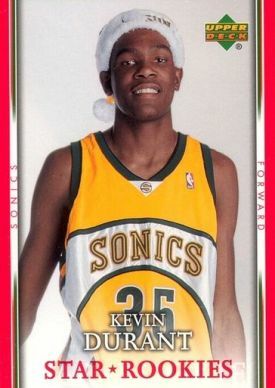 For those looking for less ambiguity on their memorabilia cards, look no further than the 2009-10 Panini Season Update Christmas Cards. 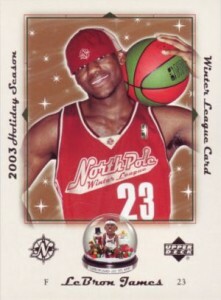 The jerseys on the card come directly from a game played on Christmas Day in 2009. Not only do these cards connect from a specific event, but they're a major event at that. The annual Christmas games are some of the biggest of the year. Each of the 40 cards come in two versions. Basic jersey cards are numbered to 499 while premium swatches are numbered to 25. Over the years, Upper Deck has produced several special Christmas promo cards distributed to dealers and friends of the company. 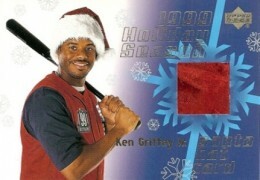 It began in 1992 with a 10-card Santa Claus set that had a card of Reggie Jackson. In later years, Upper Deck went with popular trends, including several memorabilia cards. The size of these promo cards vary from year-to-year. 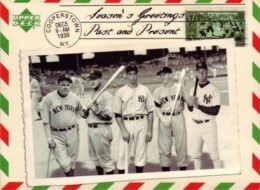 Some are traditional sports cards, while others are postcard-sized. 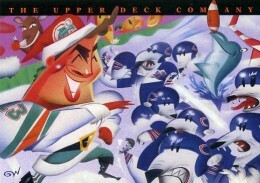 From 1993 to 1997, NFL Properties and the various card manufacturers teamed to produce a Santa set. 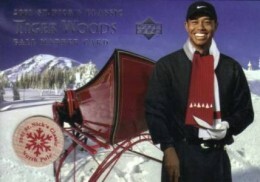 While most focused on the jolly man in red, several also featured athletes. 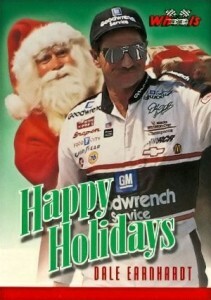 1994 Action Packed Christmas Card with Santa Card Inside. Most impressive!! Now I have some Tribers to add to my WANT list!